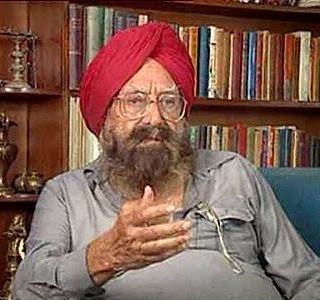 Noted writer and journalist Khushwant Singh died today at his residence. Khushwant Singh was 99 years. Khushwant Singh was best known for his knowledge and humour. His cremation took place at Lodhi Crematorium at 4pm today. Khushwant Singh was born on 2 February 1915 at Hadali, now in Pakistan. Khushwant Singh is the author of classics like "Train to Pakistan", "I Shall Not Hear the Nightingale" and "Delhi". In 2007, Khushwant Singh was awarded with the Padma Vibhushan.